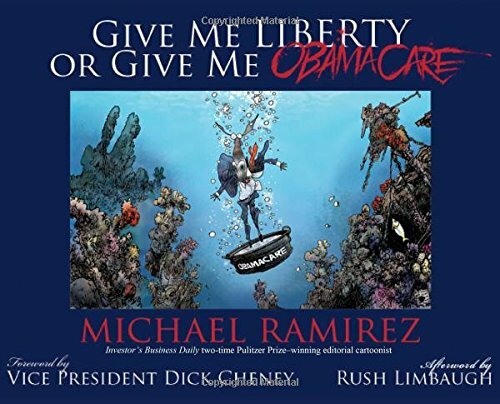 Here's another volume of sharp and witty cartoons from one of the best political cartoonists around, Michael Ramirez. The message in his cartoons are strong, sometimes biting and other times with a huge dose of irony. They are funny because they are something people can relate to, especially if you're the one affected by all the policies. As an artist myself, I find his artworks and drawings fantastic, and work rate inspiring. This 288-page hardcover collects over 200 new cartoons since his first book Everyone has the right to my opinion.